Food Toxicology Reference from C.H.I.P.S. 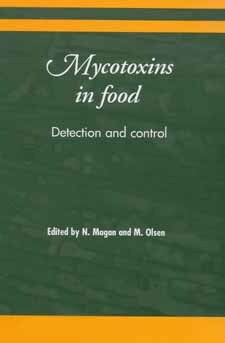 With its distinguished editors and international team of contributors, Mycotoxins in Food summarises the wealth of recent research on how to assess the risks from mycotoxins, detect particular mycotoxins and control them at differing stages in the supply chain. Part 1 addresses risk assessment techniques, sampling methods and modeling and detection techniques. Part 2 looks at how the risk of contamination may be controlled. Case studies demonstrate how these controls work for particular products. The last section details particular mycotoxins, form ochratoxin A and patulin to zearalenone and fumonisins.